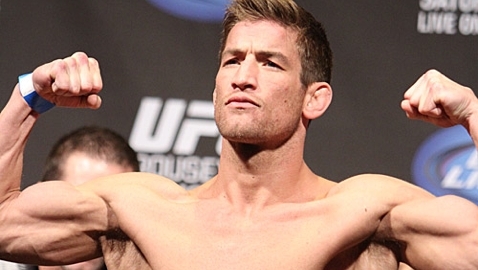 Canadian Sam Stout will face Isaac Vallie-Flagg at UFC 161 in Winnipeg on June 15. UFC officials announced the match-up on Wednesday. Stout (19-8-1) is a UFC veteran with fifteen fights inside the UFC Octagon. He sports an 8-7 UFC record and is coming off a win over Caros Fodor at UFC 157. Vallie-Flagg (14-3-1) is riding a five-fight win streak. If it weren’t for a draw against Ken Jackson in August 2010, Vallie-Flagg would be enjoying a 10-fight streak of victories. He has not lost a fight since July of 2007. Vallie-Flagg made his way to the UFC through Strikeforce and made his promotional debut at UFC 156, defeating Yves Edwards by split decision. UFC 161 takes place on June 15 from the MTS Centre in Winnipeg, Manitoba, Canada. For more information on fight announcements, cancelations and rumors, check out the MMAWeekly.com Rumors Section.